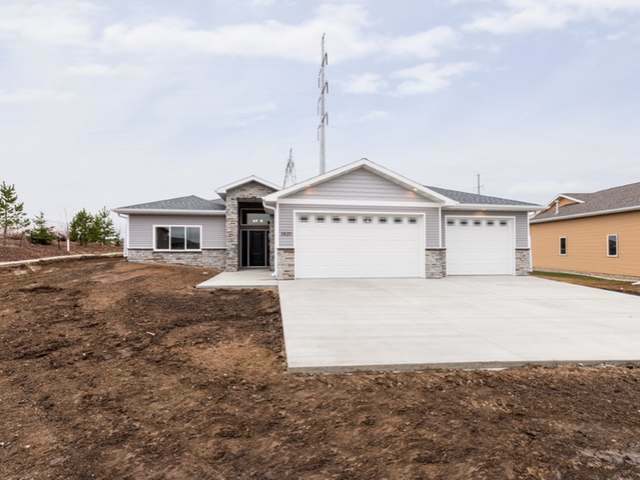 New Construction, Ranch style patio home. To be completed by the end of April. 3 bedrooms, 2 baths. Great floor plan and a large 3 stall garage. Lots of extra features. Kitchen has white maple wood soft close cabinets and drawers. Quartz countertops and tiled backsplash. Black stainless Samsung appliances with a gas range. Center island. Luxury vinyl flooring. Stepped ceiling in the living room and entrance. Stone, gas fireplace in the living room. Master bath has a walk-in tiled shower and a free standing tub. Trayed ceiling in the master bedroom. Covered back patio. Nice laundry with cabinets. Finished garage with hot and cold water, utility sink, floor drains and a gas heater. Pella 250 Pro Series double pane windows. Pre-piped in floor heating with a high efficiency boiler. A GREAT HOME.